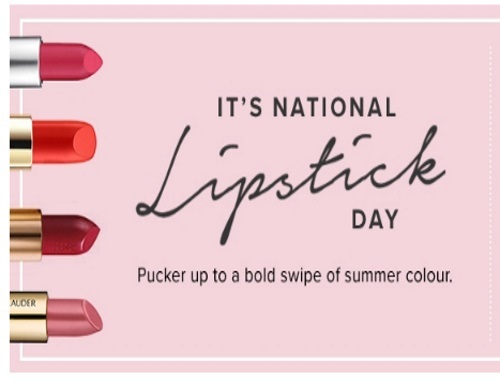 Hudson's Bay is celebrating National Lipstick Day! Pucker up to a bold swipe of summer colour. Offer excludes MAC Viva Glam products. Offer ends July 29 until 11:59pm ET. Also save $10 off instantly with your $75 or more beauty purchase with the promo code SUMMER10 (Excludes Dyson products).